At the beginning of the season we noted the freshmen participation at Wisconsin over the past few seasons. Most notably, in Paul Chryst’s first three seasons he played four, six and five “true” freshmen, or 15 combined over that time. 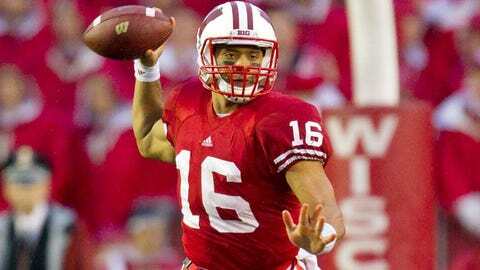 In 2018, thanks to the new rule which allows players to still take a redshirt season if they played four or fewer games, the Badgers had 13 “true” freshmen take the field (including redshirts, 26 freshmen played at least one game). Of those 13, just five appeared in more than four games (meaning no redshirt season for them): fullback John Chenal, wide receiver/kick returner Aron Cruickshank, linebacker Jack Sanborn, defensive tackle Bryson Williams and cornerback Rachad Wildgoose. Of the remaining eight, three appeared in four games and thus likely won’t play in Wisconsin’s bowl game: cornerbacks Travian Blaylock and Donte Burton and wide receiver Taj Mustapha. In addition, as has been well documented, sophomore quarterback Jack Coan played in four games and is in the same boat — he can redshirt if he doesn’t appear in the bowl game. Three players appeared in three games in the regular season — perhaps meaning Wisconsin is saving them for a potential postseason game. 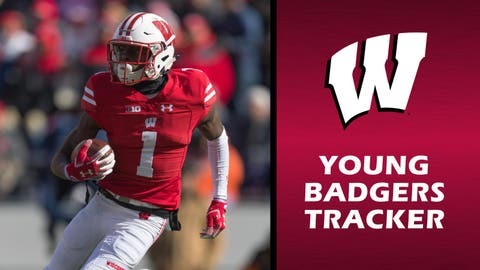 Wide receiver Isaac Guerendo might be the fastest Badgers player; he played against Minnesota after not having seen the field since appearing in back-to-back games against Nebraska and Michigan. Safety Reggie Pearson most notably started against Michigan and had five tackles and a forced fumble in that contest. Cornerback Alexander Smith appeared in three straight games — Nebraska-Michigan-Illinois — and has not played since. Tight end Cormac Sampson and wide receiver Brady Schipper each played in one game. Here’s the complete rundown of the young Badgers after the 12 regular-season games.